From strong Midwest Norwegian stock, Kevin was your typical athletic boy solidly brought up with what he said “full American values.” He was a good student, and the kid that got along with everyone. His youth was not much different than those of my brother and I. Although I never realized that Mr. Sorbo’s career began as a model, I can see why he would be such a natural. He has that classic look that photographers love. However, I’ve only ever known him through his work on the television series Hercules and Andromeda. I am glad he pursued his dream of becoming an actor. Watching these shows were something I looked forward to on a weekly basis. 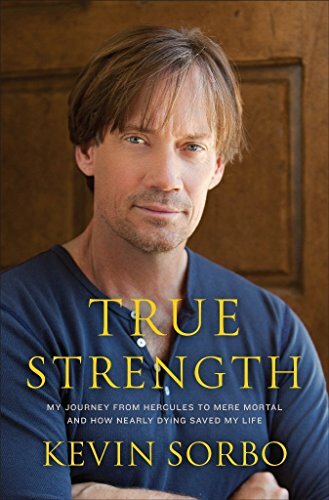 While his television career plays a prominent role in True Strength, the book is really about how Kevin survived a devastating illness, learned to cope with an unknown prognosis and dealt with a slow recovery. Here is a relatively young man who put everything into achieving his dream, lived a fast paced life, and then was seemingly struck down by what others would consider to be an “old person’s” disease, but the truth of the matter is that strokes can affect anyone at anytime. Looking back on that time period, I was pretty in tune with celebrity happenings as television was my life since I was such an introvert. I had no idea that he was dealing with this life-threatening crisis. Given the fact that I knew nothing about it, he did a great job in mitigating the effects this could have had on his blossoming career. The pain and frustration in Kevin’s words leaped from the book the more I immersed myself within the pages. It was clear that the road he had been traveling on was familiar and comfortable. Why would he want to change a thing? He was finally living his dream. But this drastic turn of events took him on a detour into an unknown world that would lead him to a different life; his new normal. Somewhere deep within the recount of those first weeks and months where he was forced to slow down, the connection that I sought reached out and latched onto me. 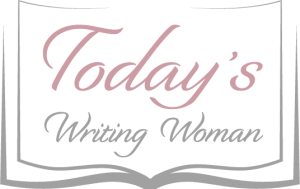 It was in his words that I realized my own recent detour had done the same by leading me to a different life; my new normal. True Strength is as real as real can get. It is also a reminder that when something so devastating happens, it does not have to be the end of all that is good. For that, I am grateful that Kevin found his way through all of this and was able to share his incredible story.